After splitting a home-and-home against the Vancouver Canucks to open the season, the Calgary Flames embark on their first road trip. They will be paying visits to three Central teams: last year’s Presidents’ Trophy winners, the Nashville Predators; and two playoff bubble teams, the St. Louis Blues and Colorado Avalanche. This road trip will be their first real test of the season. While it is a short trip, the importance of playing good, systematic hockey over the next three games is crucial for how the Flames’ will manage their play for the rest of the season. The Flames have shown that they can be fast and furious, adopting quickly to the Bill Peters style of high-event hockey. After two games, they’re currently among the best in the league in terms of generating corsi for and limiting corsi against. While this is too small a sample size to mean anything significant—especially since both games were against the same opponent—it still serves as an indicator of what this season’s iteration of the Flames can be capable of. Of course, the Flames will face tougher teams, and the numbers will likely regress. With any luck, they’ll continue to dominate possession while enjoying a bit more luck in terms of shooting and save percentage. All three opponents the Flames will face on this road trip have each won their own possession battles so far. These games will be a tougher challenge for the Flames, and will serve as good markers of how well the Flames have adapted to their new systems. On the first leg of their trip, the Flames face the Predators (2-0-0), who are undefeated after beating both the New York Rangers and New York Islanders on the road. 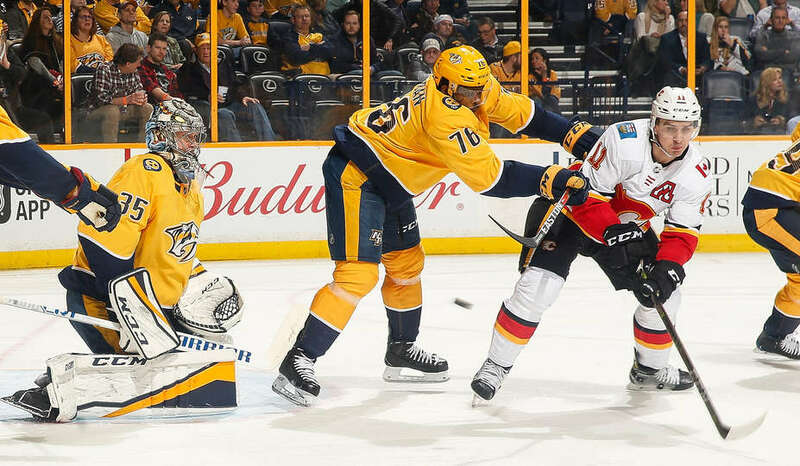 The Predators will be hosting their home opener against the Flames, so it’d be reasonable to expect the unmissable presence of the Nashville crowd. The Predators have been about an average team in terms of possession, but have been graced with excellent shooting and save percentages. They’ll be a tough opponent for the Flames, being last year’s best regular season team and all. The Predators have many familiar names in their roster this season; they didn’t make too many changes cause a top-tier team rightfully doesn’t have to. They have offensive threats that will be the toughest test the Flames’ goaltending thus far, whether Mike Smith or David Rittich plays. On the other side of the rink, Pekka Rinne and Juuse Saros have split and won their games. Rinne stole the show when it was his net, whereas Saros had slight struggles during his first game. Regardless of who Peter Laviolette goes with, the Flames will be tested and their response will be very telling. Arvidsson already has two goals so far, and will look to continue finding the back of the net. A player with no qualms towards shooting or scoring, shutting down one of the Predator’s top offensive threat will be a high priority for the Flames. For the Flame’s second stop, the Blues (0-1-1) will be closing out their three game homestand. The Blues are still looking for their first win of the season. A third period collapse against the Winnipeg Jets and an overtime loss to the Chicago Blackhawks will leave the Blues hungry for the taste of victory. The Blues went on a offense-heavy revamp this past offseason, adding NHL staples in the likes of Ryan O’Reilly, Pat Maroon, and David Perron on top of their already impressive forward corps. The Blues are bound to break out of their shooting slump, it’ll be up to the Flames to suppress as much of Blues as they can.The Blues have also played a strong possession game, but have been plagued with terrible save and shooting percentages. 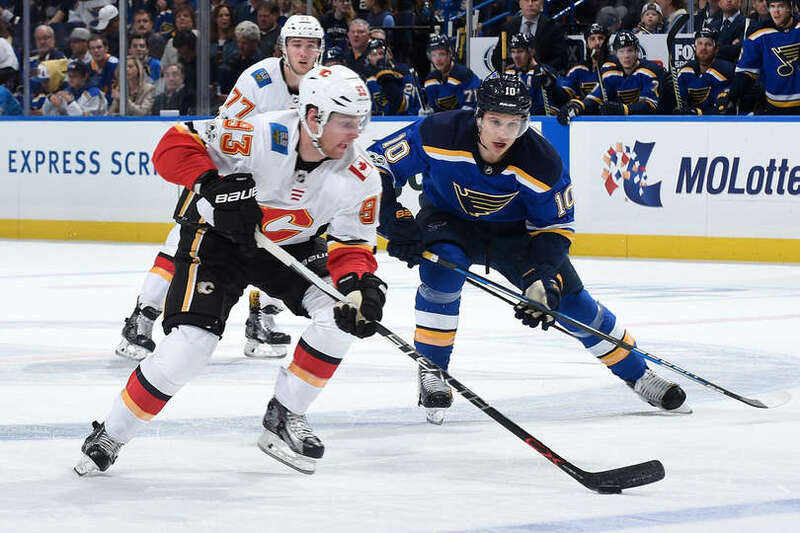 Given that other Central teams have started off rather well, the Blues will look to fix their slow start against the Flames and gain back lost ground in the Central. Not unlike the Flames’ Smith, goaltending hasn’t started off well for the Blues’ starter. Jake Allen has struggled out of the gates and will seek to reestablish his game early on. Alternatively, the Blues may play Chad Johnson against his former team, which will give Allen time to hone into and resolve his problems. Either way, this game may very well see the high-end offensive talent on both rosters break through with bountiful goals if goaltending woes aren’t addressed. The forward already has four assists this season, finding instant chemistry with his new team. Vladimir Tarasenko has been the main beneficiary of O’Reilly’s passing prowess, but any of the Blues can find open lanes or nets with O’Reilly on the ice; he is in fact one of the best passers in the game. Lastly, the Flames will make their way to Colorado, who will be returning home from a short road trip themselves. 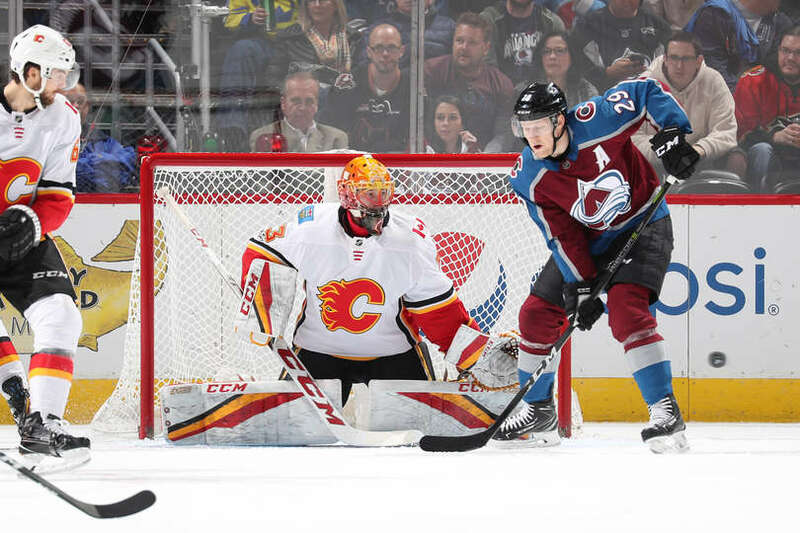 The Avalanche (2-0-0) opened the season with two home victories against the Minnesota Wild and the Philadelphia Flyers, and will face the Columbus Blue Jackets and Buffalo Sabres on the road before meeting the Flames. Colorado had some turnover in team composition, but their offensive core remains in tact, led by Nathan MacKinnon. With many players being returnees, the chemistry and familiarity with one another bodes well for the young roster.The Avalanche have dominated puck possession, but are in the middle of the pack for shooting and save percentages. They will definitely be a good test for the Flames, with both teams playing relatively higher-paced hockey. On the goaltending side of things, Semyon Varlamov has been relied on thus far this season, and he is off to a good start so far. If the Avalanche opt to play their backup, Philipp Grubauer is as good a backup goaltender as any. Rantanen was a large factor in the Avalanche making the playoffs last season. Alongside MacKinnon, the two of them were the best possession players for the Avalanche last season. Already off to great start, Rantanen looks to improve or at least match last seasons’ scoring totals. This first road trip of the season will test the Flames’ new playing style as well as their resilience. They are up against tough Central teams and will have to maintain their strong puck possession game. If they’re able to do so, it wouldn’t be surprising if the Flames manage to collect at least four of six available points. With their dominant 5v5 play, a bit of special teams help will make the Flames especially dangerous. These three games will be an excellent test of what they’ve learned so far. It can’t be overstated how important these next three games will be. The Flames will either gain confidence and momentum heading into the rest of the season, or will be left with questions they need to quickly answer. Whichever the result, there will definitely be a better idea of just exactly what the 2018-19 Flames are. After this trip, they’ll return home to face their O.R.G China Games preseason opponents, the Boston Bruins. Photos by John Russell/NHLI, Joe Puetz/NHLI, and Michael Martin/NHLI via Getty Images.